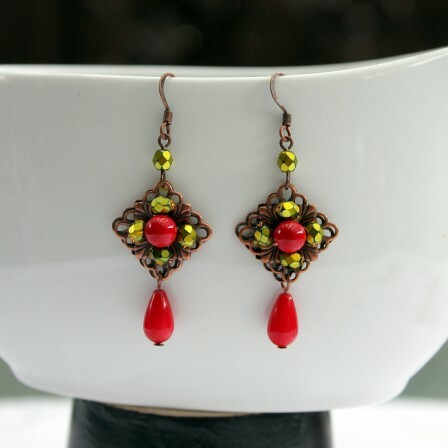 Oriental inspired earrings with coral beads and Czech fire polished glass beads weaved into antique copper filigrees. Surgical ear hooks. Length - 5.5cm (2.5in).